I think the square footage on our home is listed incorrectly in tax records. We’re considering putting it on the market and want to reflect the correct number. 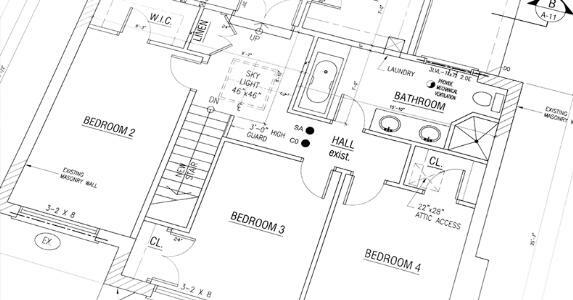 How do I get the square footage checked, and what’s the process? It’s heartening to see you’re paying attention to small details because such transparency is important to buyers. A seller using inaccurate square footage may even lose a sale if the discrepancy is discovered before closing, particularly if the tally is considerably smaller than marketed. But are you sure the square footage is listed incorrectly? I ask because not everyone in the real estate biz uses the same calculation method. Unfinished basements, vaulted ceilings and previous mismeasurements are responsible for most disparities. For good measure, pun intended, you’re probably best off hiring a licensed appraiser. This will run you $150 to $200. Alternatively, if the home is relatively new, you can ask the original builder for a copy of the “as built” floor plan, which is also considered reliable unless additions have been made. A typical appraiser will measure your home’s exterior for its gross living area, or GLA, which by some counts is a little different from square footage. A conventionally designed 2-story home measuring 30-by-30 feet with no basement would have 900 square feet per floor, so an appraiser would probably calculate the place as having 1,800 square feet. However, if a basement exists, the appraiser will consider its size and how much of it has been finished as a living area, then make adjustments. Lender-hired appraisers use guidelines from federal loan guarantor Fannie Mae to determine living space, and these may differ slightly from non-Fannie appraisals. Fannie says everything above grade that is a “heated living area” (floor, walls, ceiling) counts as long as it is finished, connected and heated by the same furnace. This includes halls, closets and even dead space inside stud walls. To be included in the square-footage measure, furnace rooms and laundry areas also need to be attached, finished and heated, says Fannie. Though approaches can differ, most appraisers don’t count the entire basement. But that doesn’t stop self-measuring sellers/agents from including it in counts on a home’s marketing materials. You’ve been paying tax on your property based in part on the city/county assessment using possibly wrong square footage. If the place is actually larger than listed, tell buyers it’s up to them to contact the assessor to change it. (They may “forget.”) One last thing: Always disclose the source of your home’s square-footage measurement on your marketing materials to take the burden of proof off you.